The Dolphins had to play in overtime to defeat the Cleveland Browns. The offense and defense was just sputtering around and left everyone irritated, including Adam Gase. It was a tough game to watch and listen to, but a win is a win and the Dolphins got their first one under Gase. 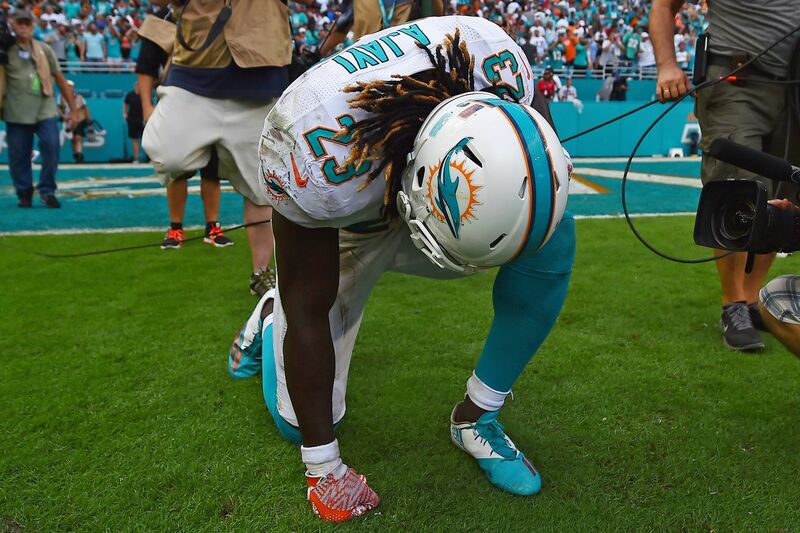 Jay Ajayi scored the game winning touchdown on an eleven yard run. The Dolphins play this Thursday again against the Cincinnati Bengals. The Dolphins finally got a win, but the overtime escape against the Browns somehow managed to feel like something less. Dissecting the first victory of the season and why Coach Adam Gase wasn’t in much of a mood to celebrate. Can a win feel like less a win? That's a fair question after the Dolphins eeked out an overtime win against Cleveland, 30-24. After Cleveland kicker Cody Parkey missed a would-be, game-winning FG at the end of regulation, the Dolphins struck down an injury-riddled Browns team 30-24 in overtime. The Dolphins delivered an uninspiring victory over Cleveland and acted the part after the game Sunday. And the fact the team admitted wins like this aren't good enough is a good sign they get it. Ajayi scored the game-winning touchdowns when he took a handoff from quarterback Ryan Tannehill and went left on a stretch play. The Miami Dolphins head home for the first time in the 2016 regular season. It’s time to make Hard Rock Stadium loud! Three areas to watch for the Miami Dolphins as they face the Cleveland Browns on Sunday.